Located in the Seville Historical District in Downtown Pensacola, Donovan Realty is proud to be a locally owned, family business. The Donovan family has been serving the real estate needs of the Pensacola area since 1952, and in 1976, John C Donovan, Sr. founded Donovan Realty. Broker Marty Donovan has built a team of agents, many of them locals as well, that are committed to improving their community. 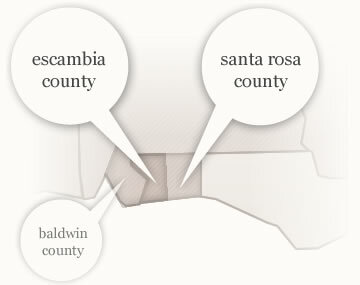 They are experienced in both commercial and residential properties throughout Escambia and Santa Rosa Counties in Florida and Baldwin County in Alabama. "To us, it's always been a one-on-one personal business. We represent our individual clients. We serve our friends in the local community. We know them better and know more about our community. I think that's our strength." Since the height of values in January of 2006, there has been an unprecedented loss of value to all national members of the real estate owning public. This rapid decline is one that has not occurred since the Great Depression and has created unique challenges. The dedicated agents of Donovan Realty are in the business of providing a valuable service to the local community and are here to help people address any real estate situation in which they find themselves. In these difficult times, it is in your best interest to choose to be represented by the best. No one in the local market has the knowledge and experience we do! Let Our Training, Education, Background, and Expertise Work for You! "To us, it's always been a one-on-one personal business. We represent our individual clients. We serve our friends in the local community. We know them better and know more about our community. I think that's our strength."